Is Juno Therapeutics Inc (JUNO) A Good Stock To Buy? 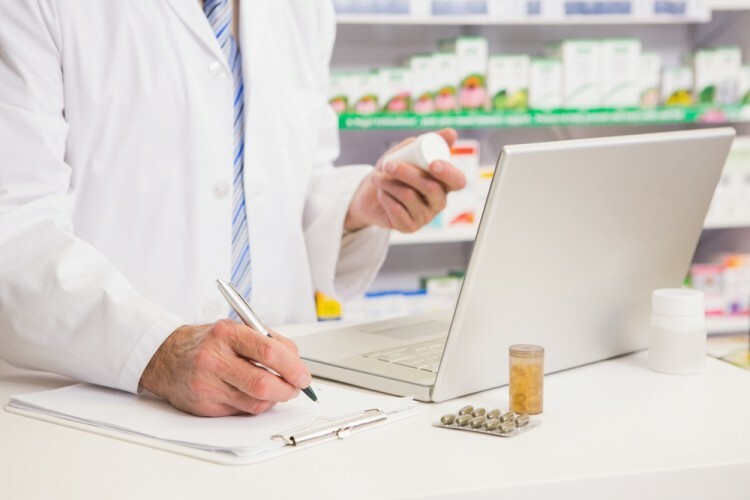 Is Juno Therapeutics Inc (NASDAQ:JUNO) a bargain? Money managers are in a bullish mood. The number of bullish hedge fund investments strengthened by 5 in recent months. JUNO was in 16 hedge funds’ portfolios at the end of the third quarter of 2016. There were 11 hedge funds in our database with JUNO positions at the end of the previous quarter. The level and the change in hedge fund popularity aren’t the only variables you need to analyze to decipher hedge funds’ perspectives. A stock may witness a boost in popularity but it may still be less popular than similarly priced stocks. That’s why at the end of this article we will examine companies such as Graphic Packaging Holding Company (NYSE:GPK), Eaton Vance Corp (NYSE:EV), and Retail Properties of America Inc (NYSE:RPAI) to gather more data points. How are hedge funds trading Juno Therapeutics Inc (NASDAQ:JUNO)? Heading into the fourth quarter of 2016, a total of 16 of the hedge funds tracked by Insider Monkey were bullish on this stock, an increase of 45% from the second quarter of 2016. 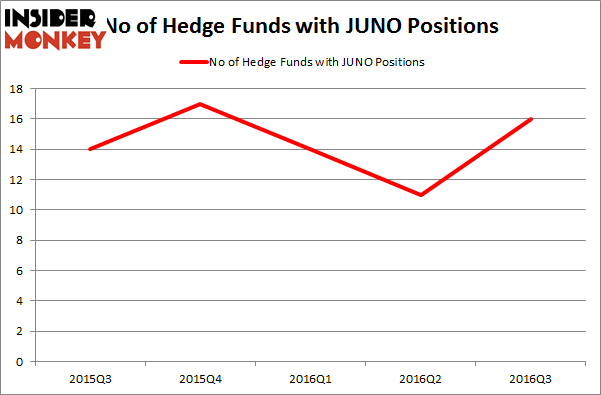 The graph below displays the number of hedge funds with bullish position in JUNO over the last 5 quarters. With hedgies’ capital changing hands, there exists a few notable hedge fund managers who were increasing their stakes meaningfully (or already accumulated large positions). Of the funds tracked by Insider Monkey, Christopher James’ Partner Fund Management has the most valuable position in Juno Therapeutics Inc (NASDAQ:JUNO), worth close to $33.7 million, comprising 1% of its total 13F portfolio. On Partner Fund Management’s heels is Stanley Druckenmiller of Duquesne Capital, with a $14.8 million position; 1.3% of its 13F portfolio is allocated to the company. Other members of the smart money that hold long positions consist of Cliff Asness’ AQR Capital Management, Kris Jenner, Gordon Bussard, and Graham McPhail’s Rock Springs Capital Management. We should note that none of these hedge funds are among our list of the 100 best performing hedge funds which is based on the performance of their 13F long positions in non-microcap stocks.